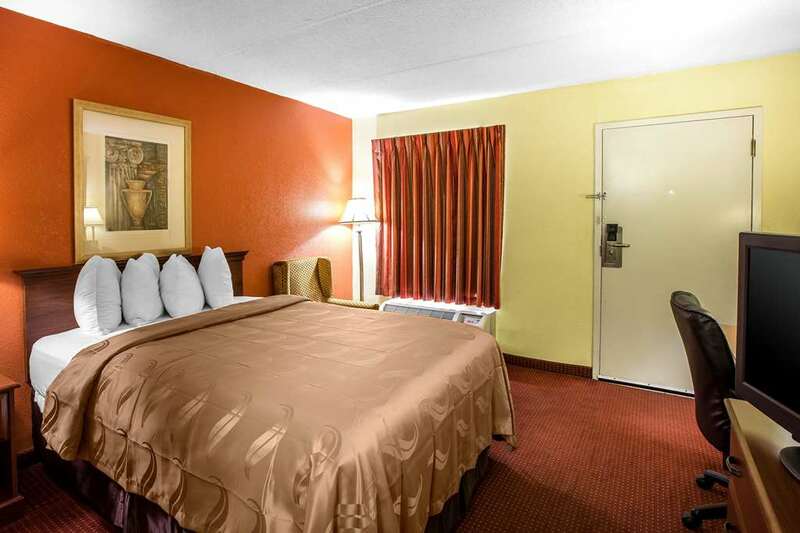 The Quality Inn Duncan Spartanburg West hotel in Duncan, SC gives you real value with peace of mind. Our pet-friendly hotel is near Greenville-Spartanburg International Airport with easy access to Spartanburg and Walnut Grove Plantation. Enjoy our amenities that include free continental breakfast, free WiFi, free coffee, a seasonal outdoor pool, newsstand, guest laundry facility, meeting room and guest use fax machine. Each inviting guest room features a coffee maker, hair dryer, TV and Q Bed with a premium mattress and bedding. Select rooms offer a microwave, refrigerator, iron and ironing board. Also, earn rewards including free nights and gift cards with our Choice Privileges Rewards program. Pet accommodations: 15.00/night. Pet Limit of 2 pets, per room. Size limit of 50 pounds and under.